Jared Leto invited Breakfast With The Stars presenter Sophie Monk to watch his band 30 Seconds To Mars perform before the Australian radio host claimed she wanted to "make out" with the actor. 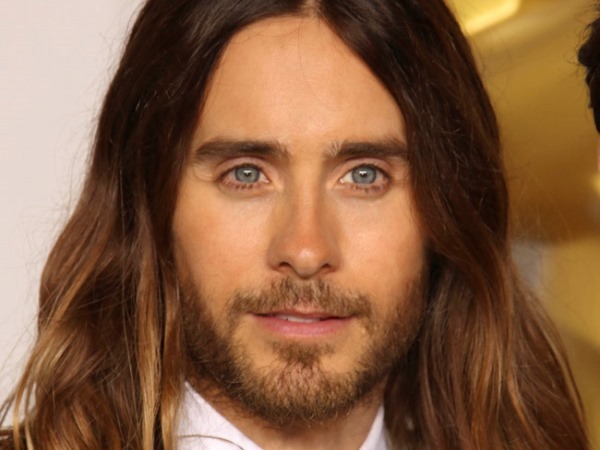 Jared Leto has asked an Australian radio host out on a date. The 30 Seconds to Mars frontman spent much of his interview on Australia's Breakfast With the Stars flirting with presenter Sophie Monk (34) who claimed she planned on "making out" with him after he invited her and co-hosts Jules Lund (34) and Merrick Watts (40) to watch his band perform during their tour Down Under. Speaking on the 2DAY FM show, Sophie said: "I was thinking about maybe you being my boyfriend, and then I thought about it and I thought...you can...like God just went you can act, you can sing, you can dress well, you're super hot. You just got blessed... and I only date guys that are as attractive as me." To which Jared (42) replied: "I can do that if you ask me to politely but..."
The pair continued to exchange advances throughout the interview with Sophie joking she had been "turned on" by Jared's Oscar winning role as a transsexual AIDS victim in Dallas Buyers Club before he complimented the radio host for her "hot" voice. Jared flattery paid off as Sophie gushed,"OK, I will date you!" before the actor hinted he had been thinking of asking her out before the interview. He joked: "That's what [the producers] said to me before the interview. They said "if you just say she's hot she'll go out with you". Jared is currently single, but has been linked to a string of beauties including Lupita Nyong'o and Miley Cyrus.